With almost 80% of female inmates of child-bearing age, it is not surprising that an estimated 6-10% of incarcerated women are pregnant at any time in the criminal justice system. Correctional nurses who care for women need to know how to assess and manage pregnancy, labor, and precipitous delivery. This can be challenging in a secure environment not arranged to accommodate pregnancy and childbirth. Drug charges are a primary reason for the incarceration of women and many pregnant inmates will also be abusing drugs and alcohol. Withdrawal from these substances can be difficult when considering the effect on both the mother and unborn child. Opioids like heroin, hydromoorphone and oxycodone are of greatest concern as detoxification can risk increases in miscarriage and premature labor. In all cases, withdrawal during pregnancy should be handled carefully with management by an obstetrical specialist. Already often suffering from post-traumatic stress from past childhood and domestic trauma, incarcerated women are highly susceptible to intensified grief following pregnancy loss, whether intentional or unintentional. Therefore, correctional nurses need to be sensitive to the emotional needs of women experiencing perinatal loss and intervene with additional counseling or mental health services when appropriate. Active labor can be difficult to determine in this patient population. 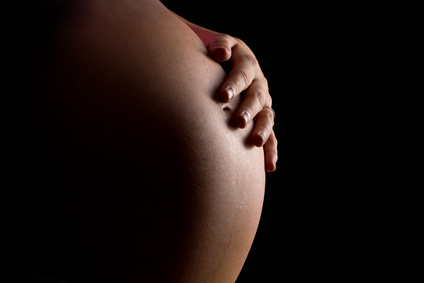 Contractions that are strong and last from 45-60 seconds at a frequency of 3-5 minutes indicate the active labor stage. This is the time most women are admitted to the hospital. However, high risk pregnancies or women with histories of difficult or precipitous labors need to be closely monitored earlier. The high risk nature of the majority of pregnant inmates requires a high level of suspicion that labor may be progressing even if the woman is not in the final weeks of pregnancy. Of particular concern is the shackling of laboring inmates. ACOG and advocacy groups such as the ACLU decry the practice of shackling laboring inmates. ACOG presents a compelling case for the detrimental health effects of this practice including increased risk of venous thrombosis and interference with the management of labor and delivery emergencies. How do you manage pregnancy in your setting? Share your thoughts in the comments section of this post. To read more about the unique aspects of women’s health care in the correctional setting see Chapter 9 in the Essentials of Correctional Nursing. The text can be ordered directly from the publisher and if you use Promo Code AF1209 the price is discounted by $15 off and shipping is free. This entry was posted in Women's Health and tagged correctional nursing, Essentials of Correctional Nursing, Female Inmates, jail nurse, Lorry Schoenly, prison nurse. Bookmark the permalink.